Capturing your wedding day is a very special honor, that I do not take lightly. It's not simply one day of photos but it's about making art out of an event that will ring in your memory for the rest of your life. It will be the photos passed down to your children and grand children. I want you to be able to relive your day over and over again every year by looking through your wedding photos. 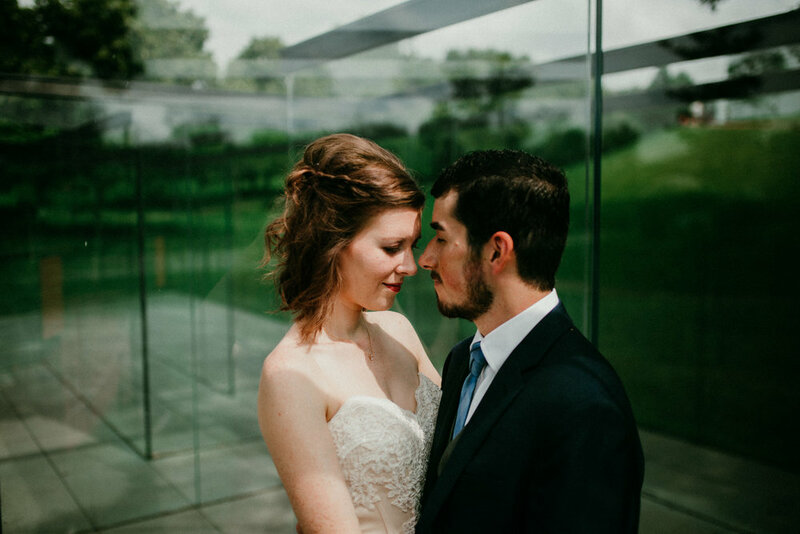 These wedding photos are more than just portraits they are capturing how you feel and how you felt the day you married your soul mate. I love being able to photograph all the details and moments that piece together the full and beautiful memory of your day. From the early morning nerves to being just damn ecstatic about marrying your person. I've said this before but, photography to me is about celebration. It is about making beauty out of moments you don't even know you were missing. So whether you're having an elopement in the mountains or a barbecue in a backyard there is joy and memories to be photographed and I would be honored to capture it. So many great stories begin and end with love. These moments of intimacy, joy and connection that you and your partner share are worth capturing. Whether it's an engagement session, wedding day, elopement or anniversary; there is a beautiful celebration to be captured. My passion is telling your love story with fun, candidness and intimacy. I love when my couples can feel comfortable and affectionate in front the lens but totally understand that sometimes couples just want to have fun. So for most of my couples sessions I love to mix it up with both affectionate peaceful moments and silly (hopefully laughter causing) moments. I'm in love with travel so whether you want to capture a couples session at the beach, the mountains, the city or the Alps I want to come along for the journey. And if you're local to Raleigh/ Durham/Chapel Hill, NC and just want to stay in with your pups or for a cup of coffee in bed, I believe that's a beautiful love story to be captured too.